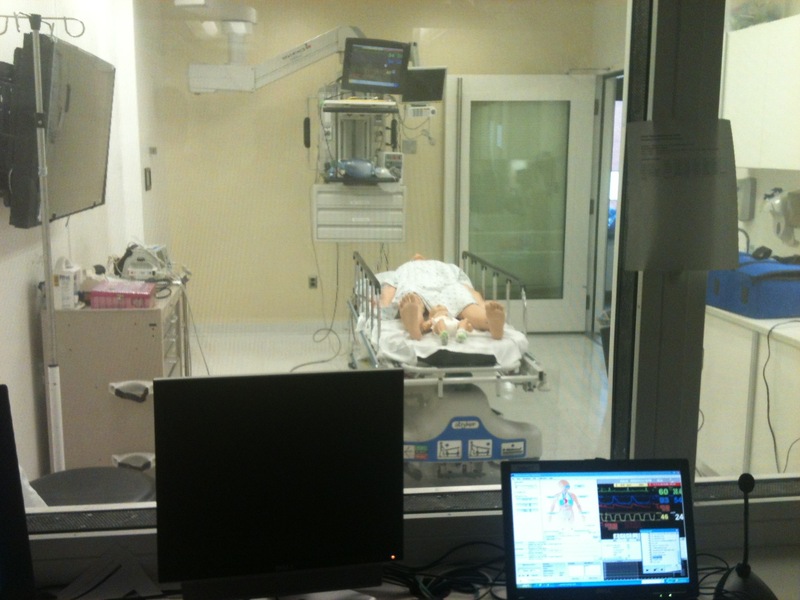 Last week, I had the pleasure of touring the Johns Hopkins Medicine Simulation Center. This is a training center that uses numerous types of simulations - everything from live actors to mannequin and online sims. As I toured the center, I tweeted a few pictures and some notes, which I am sharing below. 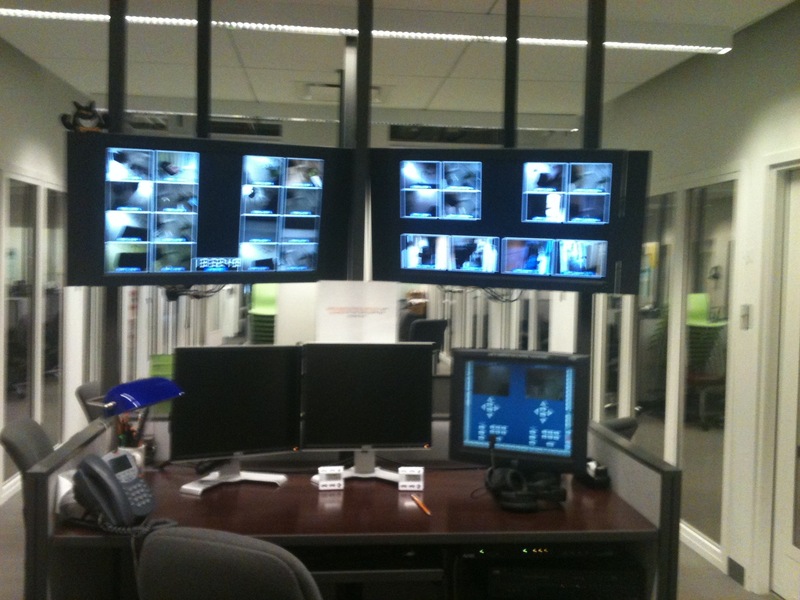 Simulation Center's observation area for proctors. 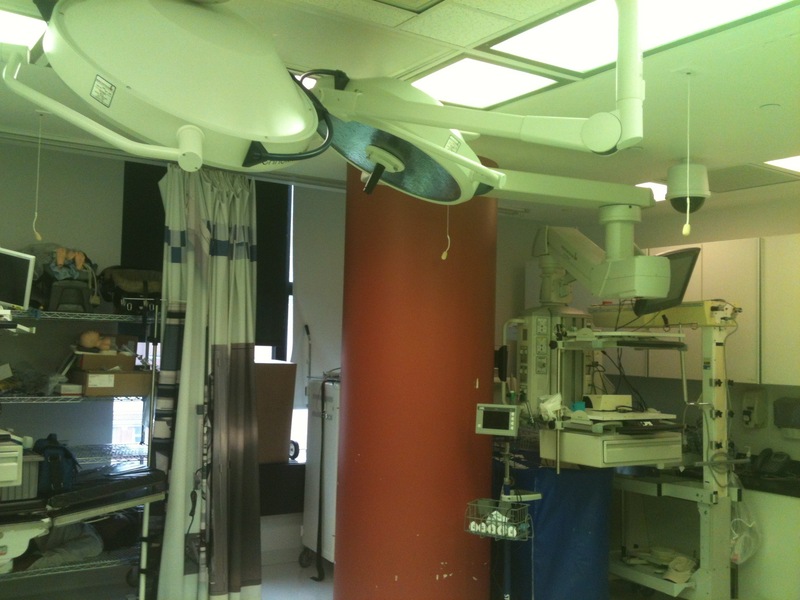 Looking into one of the Simulation Center's examination rooms from observation area. 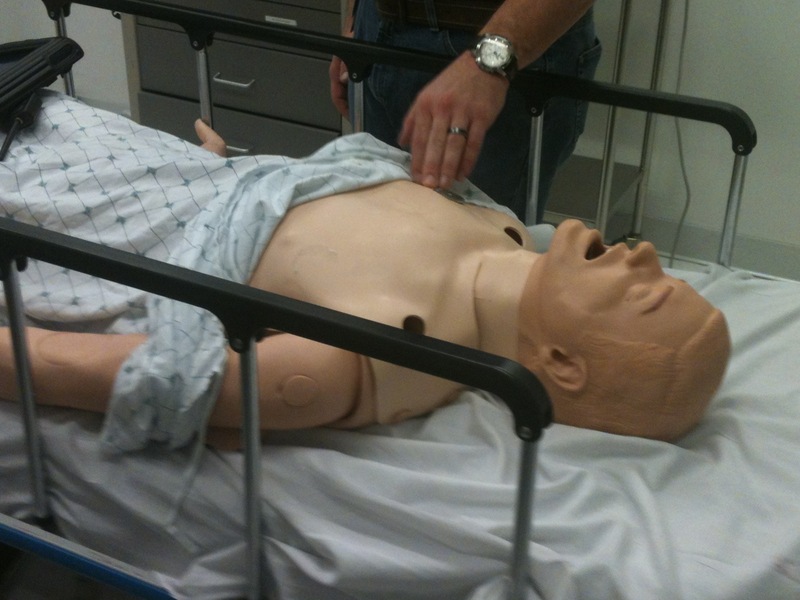 Simulation Center Mannequin. They breathe, move, bleed, have a pulse, specific medical issues, etc. (the center has 20 total mannequins). Infant Mannequin - These can also be delivered from a female mannequin including simulating a multiple births. The Simulation Center is an extremely impressive training center and I was very pleased to have the opportunity to get a tour. 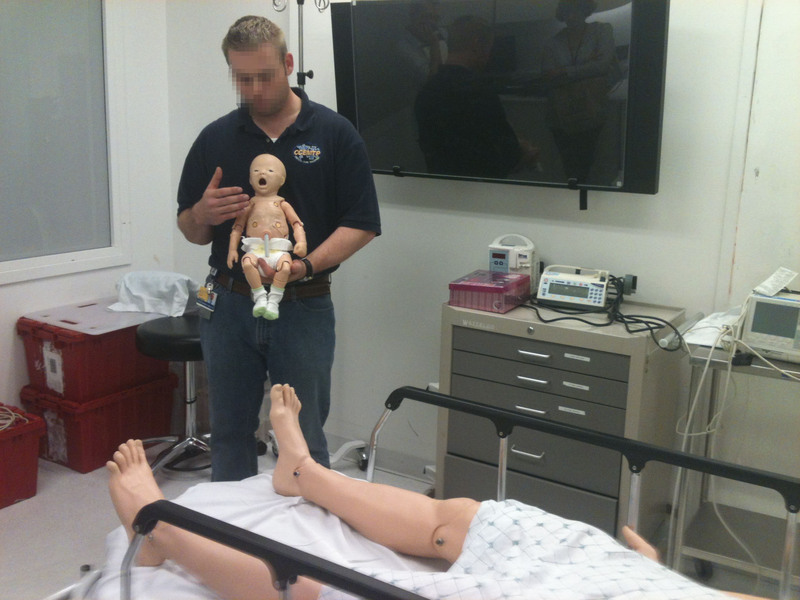 You can learn more about the center at the following link - Johns Hopkins Medicine Simulation Center. I am currently attending the MedBiquitous conference, which is hosted at Johns Hopkins (my employer) and focuses on how learning technologies can transform heath care education. Today, I attended some great sessions including one on using virtual patients in training. 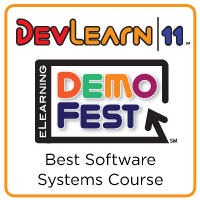 Several organizations shared the tools used develop these virtual worlds. One, CliniSpace, had a nice interface and from the demo appears to have an easy to use authoring mode. I was also impressed on how authors can quickly add or change scenarios on the fly during a simulation. Below is a video that gives a glance at CliniSpace's virtual world and its patients, doctors, nurses, etc. CliniSpace Features from CliniSpace on Vimeo. I am looking forward to seeing more exciting things at the next two days of the MedBiquitous conference. I am also tweeting (@minutebio) some of what I learn at the conference via its #medbiq2012 hash tag.